Take Action Today! Assembly Bill 455 will be heard at 9:30 a.m. on Aug. 2, before the Assembly Committee on Natural Resources and Sporting Heritage. Senate Bill 362 will be heard before the Senate Sporting Heritage, Mining, and Forestry Committee on August 2 at 1:00 p.m. Wisconsin sportsmen should contact their state senator and representative and ask them to vote YES on SB 362/AB 455. 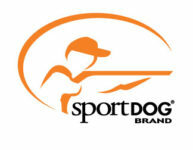 Wisconsin members can find their state legislator by using the Sportsmen’s Alliance Legislative Action Center. Wisconsin’s mentored hunting law, enacted in 2009, included two restrictions that have proven to be a barrier to recruitment of new hunters, and completely unnecessary restrictions on Wisconsin families. Senate Bill 362, sponsored by Sen. Terry Moulton (R-Chippewa Falls), and Assembly Bill 455, sponsored by Assembly Member Rob Stafsholt (R-New Richmond), would correct these issues. First, the identical bills would remove the 10-year-old-age minimum for mentored hunting, allowing parents to decide when their kids are ready to begin hunting, as is the case in 40 other states. Second, the two bills would eliminate the restriction that there can be only one firearm or bow between a mentor and an apprentice, allowing parents to decide the capabilities of their own sons and daughters. Only three other states have this unnecessary restriction. Parents are in the best position to make these decisions. Safety data compiled by the Sportsmen’s Alliance has proven that mentored hunters are the safest hunters in the field, more than six times safer than regular hunting. Since 2005, more than 1.95 million mentored hunting licenses have been sold as the result of the formation of Families Afield, a coalition founded to tear down unnecessary barriers to recruiting the next generation of hunters. The Sportsmen’s Alliance, and the other Families Afield partners (National Shooting Sports Foundation, National Wild Turkey Federation, National Rifle Association and Congressional Sportsmen’s Foundation), have successfully championed mentored or apprentice hunting legislation in 40 states. Mentored hunting licenses have been especially effective at attracting underserved groups of people, including women and those living in metropolitan areas.